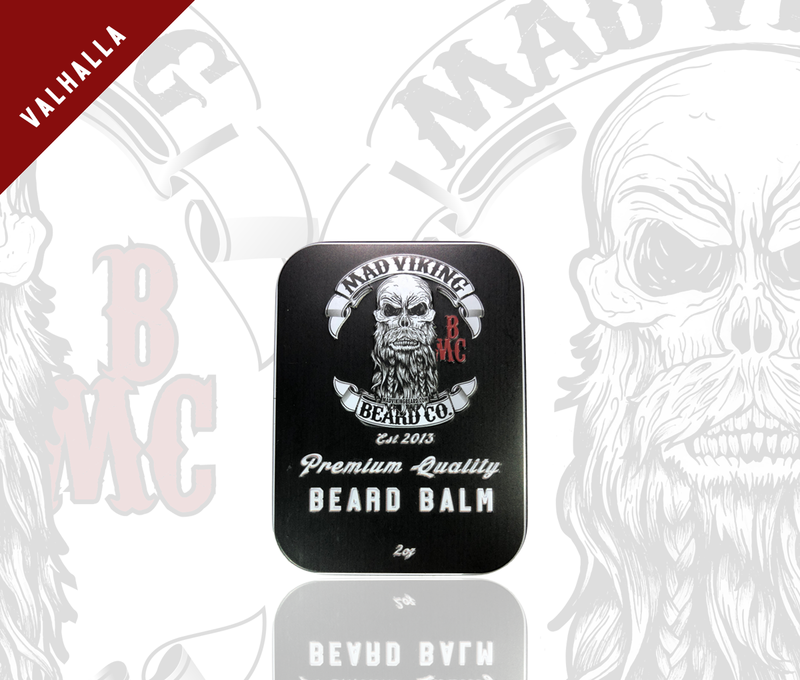 Blog - Mad Viking Beard Co.
Hey, I’m Phil Rigney, and this is my Beard Journey. I started shaving when I was 12 years old and grew my first beard when I was 13. I’m a qualified electrician and I’ve only been clean shaven 6 times since 1996. When I found the tv show Vikings was being filmed on my island (Ireland), I started growing my full beard long to audition. 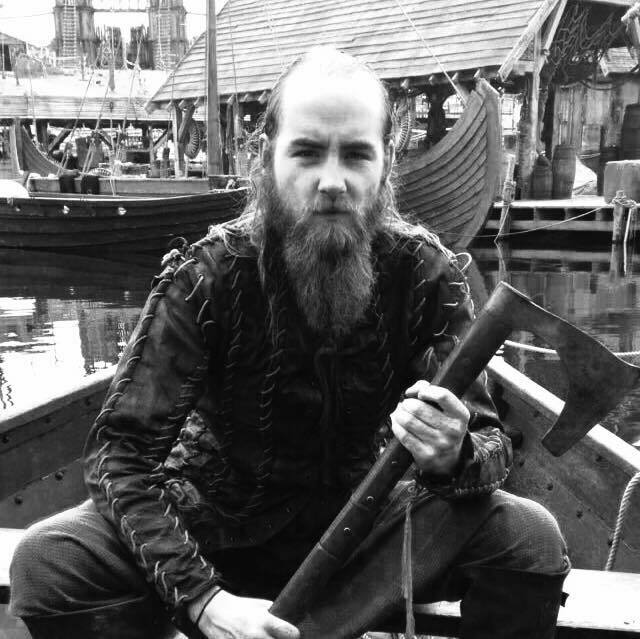 I’ve always wanted to be an actor but never had the confidence, but I found my strength and am proud to say that I’m on Vikings in seasons 3,4,5 & 6. I’ve been to quite a few charity beard comps in England and America and have placed several times in the US. When I shower, I wash my beard with beard soap or beard shampoo. I then towel dry my beard and put beard oil into it when it’s still damp. I either let it dry naturally or blow dry it on the lowest heat and then put beard balm into it when its dry…..
On the days when I don’t wash it, I would put beard balm into my beard….. It’s funny though, because I was always the only bearded friend that all my mates had till about 2013, and then suddenly most of my friends started growing beards, and I was always the one they contacted for advice on how to grow it. Phil Rigney is a proud member of the official Mad Viking Beard Team, and when he’s not filming for the TV show Vikings, can be found somewhere deep in the forest of HIS Island (Ireland). Mick Wallage here. 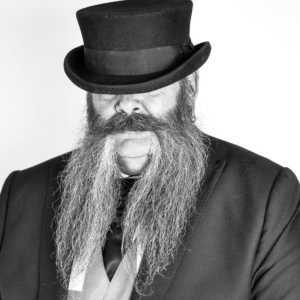 In recent years I’ve done rather well at the odd beard competition or two and as a result of that a lot of people get in touch with me to ask what they can do to make their beard grow faster or thicker. Well I’m sorry to disappoint, but a hell of a lot depends on genetics. If you’ve not got what it takes, no amount of lotions and potions is going to make you look like Chewbacca….sorry but that’s how things go sometimes. What I am saying is that there are loads of beards out there that are good when in fact they could be AWESOME if they changed their beard care routine slightly. I’m not saying the way I do things is the best way or the only way, but it’s worked so far for me and won me a world title. The very first thing to point out is that your beard ain’t gonna get longer or thicker if you keep cutting it. I’ve heard people say, “I’ll have it trimmed, it grows back thicker.” …. Not in my opinion. Always, but ALWAYS use a barber who knows his way around a beard. 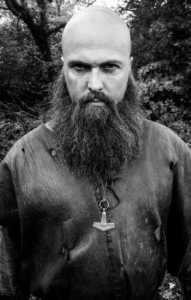 No matter how thick and fast your beard grows a bad barber can destroy it far faster than you can ever grow it, that is a FACT. Unless you’ve a dirty/dusty job then in my opinion there’s absolutely no reason to wash your beard more than once a week. I’ll quite often use Mad Viking Conditioner even if I’ve only rinsed my beard. Don’t forget to give the conditioner time to be absorbed, otherwise you’re literally pouring money down the drain. Rinse your beard every day when you bath/shower of course, but too much washing will strip all the natural oils, leaving it dry, itchy, and brittle. When you do wash your beard, use only the best products from a reputable beard care producer who will have had their products tested and approved for sale. Stay clear of any shampoo/beard wash that contains parabens and sulfates, they dry the hair and lead to breakages. Unlike the hair on your head beard hair is somewhat coarse and liable to breakage. That’s why I believe it’s important that you keep it well hydrated and supple. if it’s snapping off faster than its sprouting from your handsome face….. well that’s BAD. It’s going to appear to have stopped growing or worse still, recede. Sometimes I’ll oil twice a day, always in the morning, and more often than not, in the evening too. A lot of people have asked, “Should I oil when the beard is still damp or when it’s dry?” My personal preference is to oil when it’s dry. I’ll carefully comb once I’ve applied oil, first with a wide toothed comb, then a finer comb, and finally with a soft bristled brush while applying gentle heat from a hair dryer. Once a week I’ll use lanolin as a deep leave in overnight conditioner, its greasy and feels horrible, will make hell of a mess of pillows but the results are soooo worth it. The following morning I’ll wash my beard well, and then oil in the normal way. That’s about it. If you insist on cutting it, only go to a knowledgeable beard barber. Don’t wash the life out of it. Oh and if you’re gonna style,use heat protection. Most of all enjoy the beard journey and BEARD ON…!! We all know that beards are pretty damn awesome. They help set you apart from the crowd, your face deserves it and they help you look the way you were intended to. Not everyone’s job or lifestyle can permit a big beard, but for those fortunate ones who can, here are some Beard Growing Milestones I recall from my journey so far. Your mileage may vary. Bearding: a colloquial term used by the people involved with the growth, maintenance, and competitive aspects of having (or making) a beard. 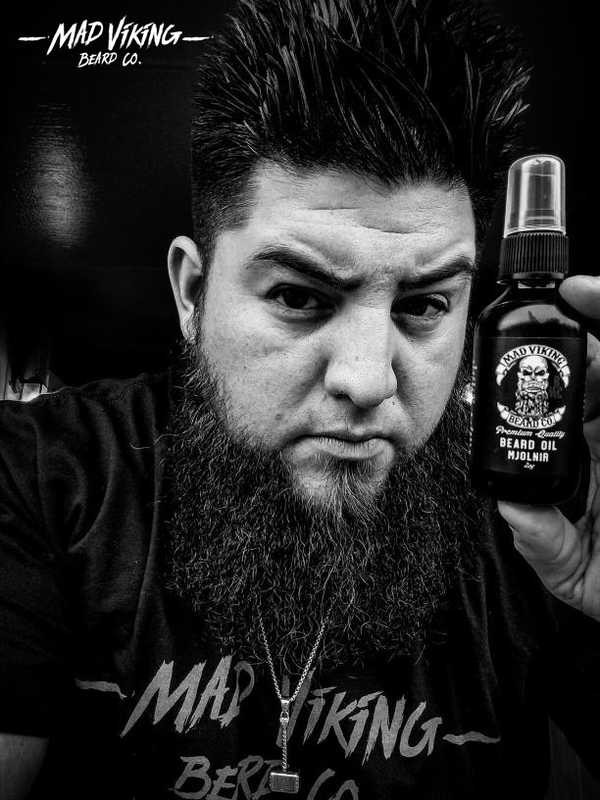 About two years ago I became involved with a group of local “beardos” centered around a company that made beard care products ( www.madvikingbeard.com ). I had known one of the owners’ sisters since high school, and was added to their club’s Facebook page. The people on the page seemed so genuine towards the other members that I was instantly drawn in. What really planted the “Beard Bug”, though, was when I attended my first beard competition. The stage was set in a large conference room of a casino in Pittsburgh. The moment you step foot into a room full of beards, the atmosphere crackles with personality. If you’ve never been to a beard competition, it’s difficult to describe the kind of people that attend. Imagine the most outgoing, warm, energetic person you know; now multiply them by 100+, and fill a room with them. These are performers of the utmost degree, though most of them hold day jobs having nothing to do with the entertainment industry. It isn’t just men who compete with their genetically bestowed facial fuzz. Competitions include women, and children, who craft fake beards out everything imaginable. 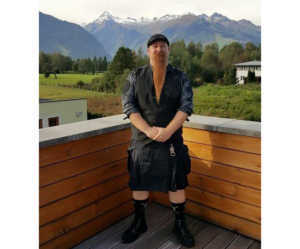 Whiskerinas, and whiskertots (the correct terminology for competitors that make fake beards) spend anywhere from hours to months making their competitive pieces. 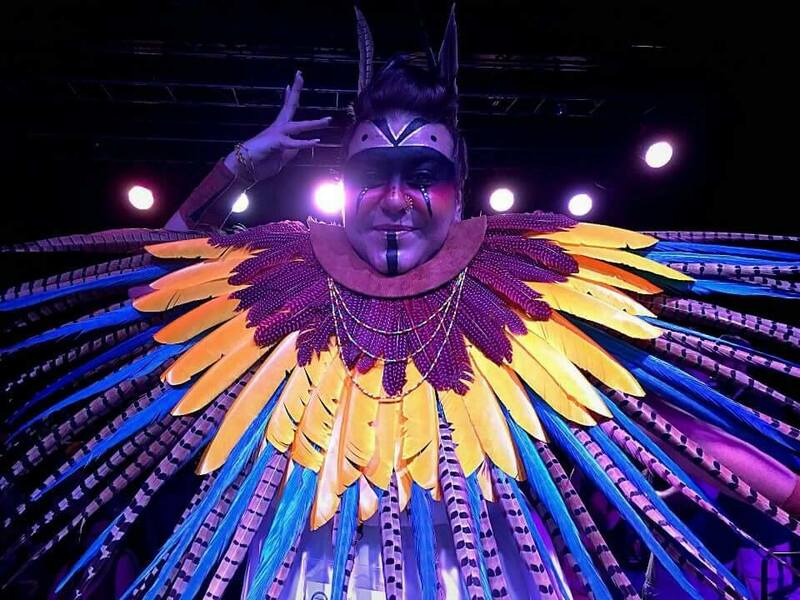 These beards are amazing wearable works of art. Not only do the competitors have to fashion something shock-worthy, but they also have to figure out how to attach them to their faces. This is no small feat, as some of these pieces weigh upwards of 20+ pounds. After competing for the first time, it was blatantly clear why these women spend so much time and effort to compete. It’s fun. Not only is it an exceptionally good feeling hearing rounds of applause for something you’ve created, but you’re also contributing to good causes. I’ve noticed in life that usually when you have a big group of people with giant personalities there’s always some kind of contention. I believe the reason this doesn’t happen in the bearding community is that everyone has a common goal. Every beard competition that I’ve been to has benefited a charity of that club’s choice. The charities range from children’s hospitals, to animal rescues, and everything in between. The camaraderie between competitors is truly astounding. Competitors travel long distances to attend some of these competitions, some even flying in from overseas. People look forward to seeing each other, and there’s always a depressing realization afterwards that you may not see these wonderful people until the next competition (or even the following bearding “season”). This world of bearding is growing exponentially every day. This is becoming a counterculture that isn’t just about people growing facial hair; it’s the beginning of a movement. Bringing people together, giving them a chance to make a real contribution to their local communities, and having an incredible amount of fun is the bottom line. Monica Paige is the Secretary of The Mad Viking PA Beard Club and avid Whiskerina. It seems at just about every competition I get asked about beard care/comp prep. I thought that with the fall competition season coming up that I would share with everyone my strategy for getting ready. Now mind you, this is just how I prepare for a comp and not necessarily the best or only way. I have, however, been fortunate enough to have had a good amount of success. It is 2 full days away from the comp but some work needs to be done. The “Imperial Goat” requires a bit more shaving than a normal beard. If you have to shave at all (Whaler Nation), it is a good idea to do a shave on Thursday. This gives your skin a chance to recover and heal any bumps or cuts you get. If you are like me, you may not have shaved that area since the last comp so be careful and use a good razor. I also usually run the clippers through my hair this day, but that’s not as important. This is usually my travel day if the comp is a few hours away and I want to get to the meet and greet. The key for this day is letting your beard be natural. As your beard gets longer, you may find that most days you keep it banded up or in a braid. I keep mine in at least 1 band almost every day for work. While this keeps your beard out of the way, it also creates kinks in your beard (especially braiding). You can spend a lot of time trying to brush these out or you can let your beard hang for the day and this will get rid of most of it. Take a shower, wash and condition (with MV products) and lightly oil, no balm. I like my beard to have a break from any product. It can be a little annoying having your beard all over the place while driving but just watch the seat belt. I always take my seat belt off before backing up since turning your head often results in hairs getting caught. This is the day. Everyone is showing up, hanging out and you want to start drinking. My prep time for a competition varies but usually I give myself about 90 minutes. Showering early in the day or right before prep is a personal preference. Usually I go out visiting breweries and have lunch before getting ready so I shower right before incase I had BBQ for lunch. I start by doing a quick shave and getting rid of any stubble that grew since Thursday. After showering is where the prep work really starts. I am a believer in not brushing/combing your beard while it is wet unless you need to. If you think about shaving, most people shave when they get out of the shower. This is because the hair is softened by the water and the pores in your skin open up making it easier to get hairs out. In my opinion, this means that you will lose more hairs brushing while it is wet. The only hair I comb while wet is areas I think have to be. My chops and my mustache. You need to comb your stache right out of the shower in order to have it lay right. I prefer air drying to using a hair dryer. However, this adds time to your prep. Once your hair is dry, it is time to oil. Put a healthy dose on because you are going to be really combing it out and you want that comb to glide through. Apply the oil and then let it rest for 5-10 minutes. Give your hair time to soak that in before you start combing it out. I have 2 different combs that I use for a comp. I start with a wide tooth, pick style comb in order to get some of the tangles out. Start at the bottom of your beard and work up. Use one hand to hold the beard higher up to reduce pulling when you are getting the tangles out. Also, try to jiggle the comb through a tangle. DO NOT YANK. Once the big tangles are out I move to a wet brush that has a lot more bristles but has a soft back. 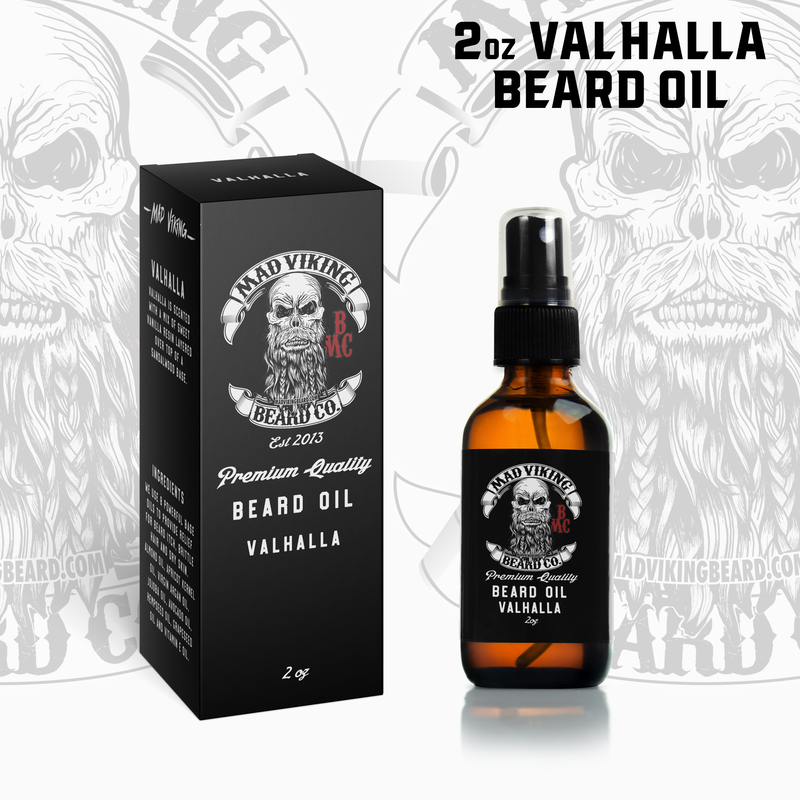 This adds some extra fullness to your beard as it separates more hairs. The last step, if it is allowed at that comp, is to add a little balm to the outside to protect all the work you just did. With all that done it is time to go enjoy yourself and hang out with some of the best people around. Have fun, be respectful and remember that it is all for charity and friendship in the end. I hope that this little guide helps people out. But like I said, this is just my way, not necessarily the best way. We get questions almost daily as to what we put into our beard balms and oils. While we will not get into the proper percentages and other detailed info on our recipe in this article, we will give you a quick breakdown on what goes in and how it benefits your beard and the skin underneath. So thank you for taking the time to research our ingredients. All of our balms use that same base carrier recipe as listed below, with a brief explanation as to their usefulness. We only use the finest ingredients available because we want your beard to be clean, happy, healthy, growing, dandruff and irritation free! Shea butter is triglyceride fat composed mostly from stearic and oleic acid which helps coat and soften the skin and hair, it also makes Shea good for eczema, and dry, irritated skin and hair. Shea contains robust amounts of Vitamin A, and Vitamin E. The main purposes of Shea butter in our balms are softening of the hair and skin, removal of free radicals in the skin and follicles, delivery of nutrients and adding a great shine to the hair. Cocoa butter is the fat that is obtained from the seeds of the Theobroma Cocoa. It is known to temporarily protect the skin form exposure and irritation, bringing relief to the skin. It also protects from moisture loss by forming a barrier on the skin and hair. It has a high percentage of fatty acids which aid in deep moisturization. The different antioxidants it contains fight against damage from free radicals. It is a fantastic ingredient used to strengthen the hair, reduce hair loss, repair damaged or dry hair, and repair chemically damaged hair. More than just an ingredient used to lock in moisture and tame flyaways. Beeswax is used in our recipes because of its healing properties. Beeswax is anti-allergenic and anti-inflammatory which means it actually helps soothe irritated skin and follicles. It aides in moisture retention and softening of the skin and hair. It contains anti-germicidal properties which have been shown in studies to help heal minor skin cuts, abrasions and wounds. Beeswax is also known to promote hair growth. The biggest skin benefits of pumpkin seed oil are that it possesses very high levels of the natural antioxidants and polyunsaturated fatty acids. Pumpkin seed oil is especially high in the gamma-tocopherol form of Vitamin E, which is a powerful antioxidant. Aside from the high levels of Vitamin E found in pumpkin, there is also a high level of oil content (as high as 50%). The four fatty acids which comprise 98% of pumpkin seed oil are palmitic, stearic, linoleic, and oleic acids. Palmitic acid works to promote natural oil regeneration. Oil is an important component for the skin to retain its protective barrier. With too little oil, the skin will crack and bleed; opening it to a greater risk of infection and disease. Stearic acid acts primarily as a lubricant. It allows the skin to retain the proper moisture balance vital for good health (and good looks). Linoleic acid is an essential fatty acid, which means our bodies don’t manufacture it, and so we must ingest it in our diets. Linoleic acid is one step for the manufacture of prostaglandins, which decrease inflammation in the body. Linoleic acid helps maintain smooth skin, and will help repair flaky, itchy, or rough skin. Oleic acid is the final fatty acid found in pumpkin seed oil. It works to replenish and maintain skin’s moisture and lubrication. It is an Omega 9 acid and has similar health benefits (both general and to the skin) as the more well-known Omega 3 and Omega 6 essential fatty acids. Therefore, it’s clear that pumpkin seed oil has significant benefits for skin health and skin care. With powerful antioxidants, and essential fatty acids, it appears that adding pumpkin seed oil to your skin care regimen will help you retain moisture, maintain normal cell structure, and keep your skin looking and feeling healthy.